Problems arising from water scarcity and water-induced disasters are increasing due to factors induced by climatic variability as well as anthropogenic changes. In such a situation, power inherent to social hierarchy has become a means of controlling water resources and securing access. Moreover, in many cases the increased competition for water has led some to achieve individual water goals at the cost of collective goals, creating social conflict and chaos and further increasing gender inequity in water. Water related decisions are important not only to ensure access to water, but also to gain and expand the power base that is built through accessing water. Water decisions are gendered and often in the hands of some powerful men in most societies. Access to water is often a challenge for women and marginalized members of society. Given the changing demographics of Nepal, with increased long-term male migration for remittance-based foreign employment, the overall responsibilities, including water works, have fallen on women’s shoulders. 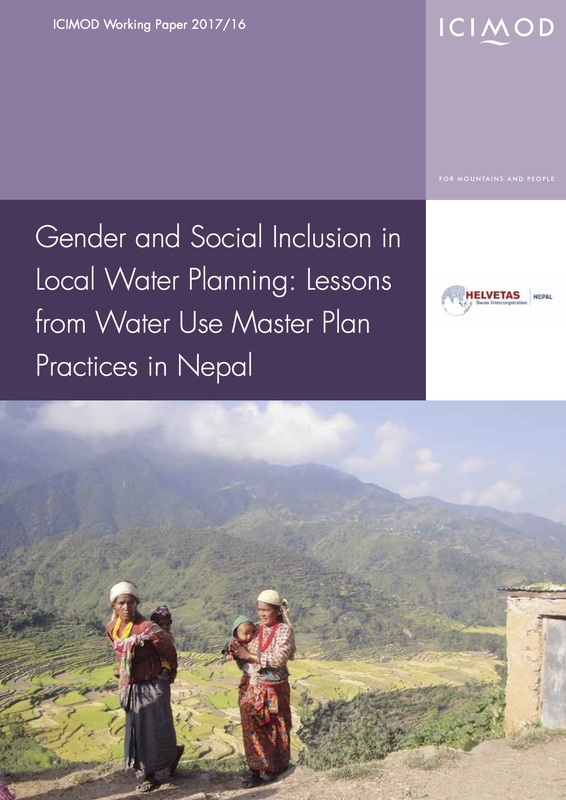 Gender concerns in water sector development have hence become more important than ever.